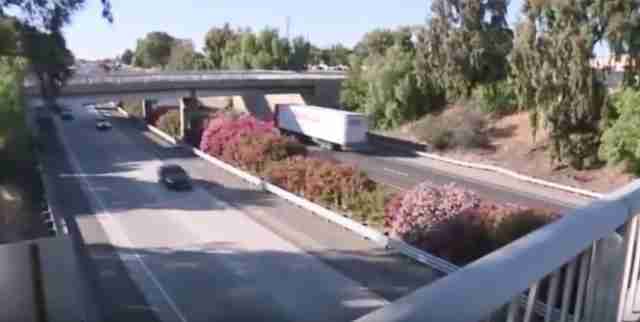 When a German shepherd fell off a truck speeding along California's Highway 99 in early April, the driver didn't seem to notice. Others did and made panicked calls to the Galt Police Department near Sacramento. But by the time officers arrived, the dog had disappeared. In the weeks that passed, these missed opportunities would become a sad refrain: The dog was spotted, police were called and then she seemed to vanish again. The dog was nicknamed Frida the Freeway Dog. "How do you not realize your dog is gone and how do you not go back and try to find her?" 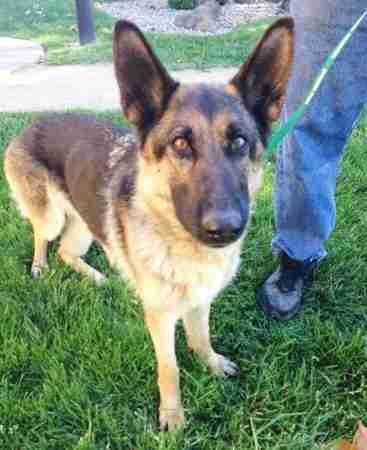 Randy Prudhel of the Greater California German Shepherd Rescue tells The Dodo. "That's the question of the hour." But few were more frustrated by the search for this elusive dog than Sylvia Coelho. The Galt County police officer fielded countless calls from people who thought they spotted the dog. Again and again, police responded to find no sign of the phantom Frida. "Last week, when we stopped getting calls, I thought something happened, she, you know, died," Coelho told KCRA 3 last month. But weeks later, Frida was spotted again. And Coelho came looking. "I'm like, 'OK. We're going to find this dog,'" Coelho told the LA Times. "I never work weekends. It was meant for me to work that Saturday." After another exhaustive search, Coelho found Frida cowering on a highway median. "We're saying, 'It's all right, it's all right,'" Coelho told the LA Times. "And those big brown eyes just staring up at me ... She didn't fight us after that at all." Frida had been on her own for five weeks. And it showed. At just 44 pounds, she was dangerously underweight. Her leg was broken. "I don't know how you sit on a freeway island for five weeks and not get creamed," veterinarian Mike Johnson of VCA Bradshaw Animal Hospital told the Star-Telegram. "I guess she was eating garbage. I'm not sure where she was getting water." Those big brown eyes must have said so much more than words to Coelho. Because the police officer plans to adopt Frida as her own if the dog's original owners don't claim her by next week. In the meantime, she's visiting Frida at the hospital, where the dog is currently recovering, every chance she gets. 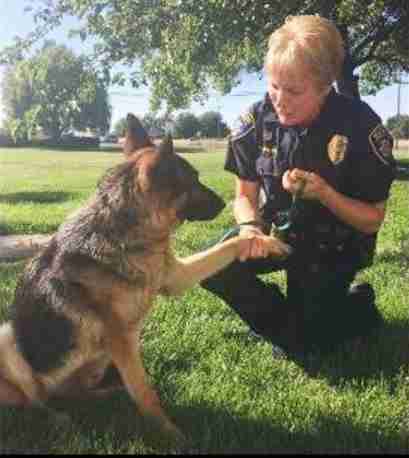 During one visit, as reported by the Star-Telegram, Frida limped toward her and gave the police officer a paw. "Hello, sweet girl!" Coelho reportedly said. "I can't wait to get you home." 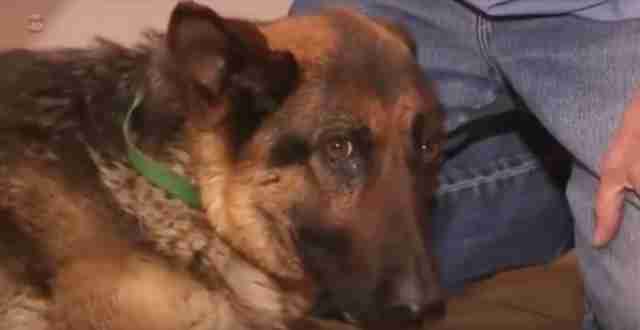 For now, the Greater California German Shepherd Rescue is raising funds to help cover Frida's medical bills. So far, the fund for Frida's medical care has reached around $5,600. But, Prudhel adds, "anything over and above what her medical needs might be will roll into our rescue group that saves dogs from euthanasia and shelters in our area." You can make a contribution to the Freeway Frida Medical Fund here.